This document explains the process of adding a network copier or a printer. Your computer must be connected to the college's network to add a network printer or copier. 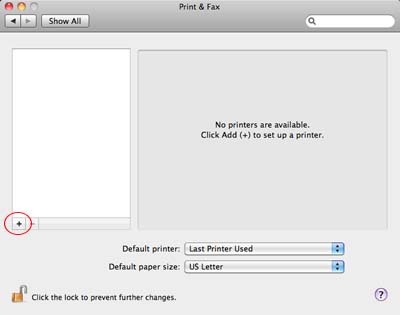 You must have PaperCut installed on your computer to print to a network printer or copier. Click here for instructions on installing PaperCut. 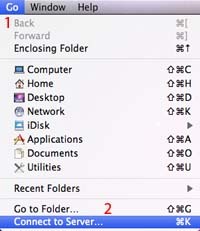 Step 1:Click the Start/Windows Button and type "\\ecpaper" at the "Search programs and files" run line and press Enter. 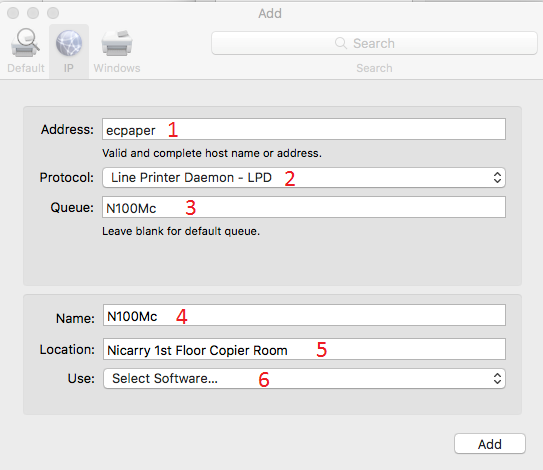 Step 2:This will launch a list of the network printers and copiers. From this list, double-click the appropriate printer or copier name from the list. This will automatically begin the installation of the printer. 3-digit room number (e.g. 101 = Room 101). For buildings without room numbers, a generic placeholder (100, 200, etc.) will be used. Check the label on the printer for the correct number. The ending letters represent the type of printer. 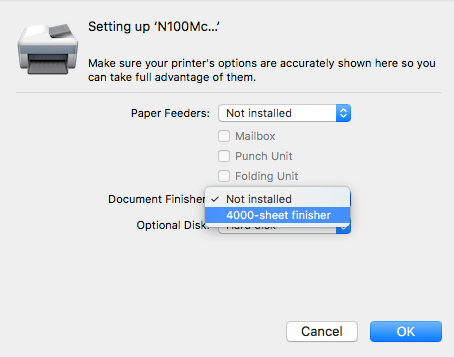 Step 3:Once the installation completes, the print queue will automatically open. You can close this window as well as the printer listing window. The new printer is now available for printing from your computer. Step 4:Restart your computer to assure access to the new printer. 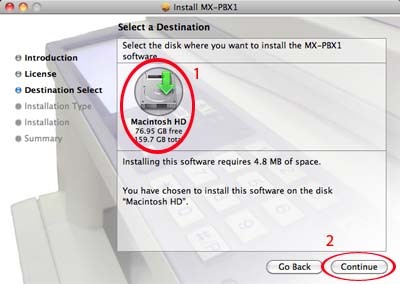 First, you must install the appropriate driver for the copier or printer you wish to connect to. The copier or printer is added to your computer once the driver is installed. If the driver for the copier is already installed, skip to Step 9. Step 2:In the Server Address: field, enter "cifs://ecpaper/Macs". Press Connect. If prompted, enter your jaynet username and password. 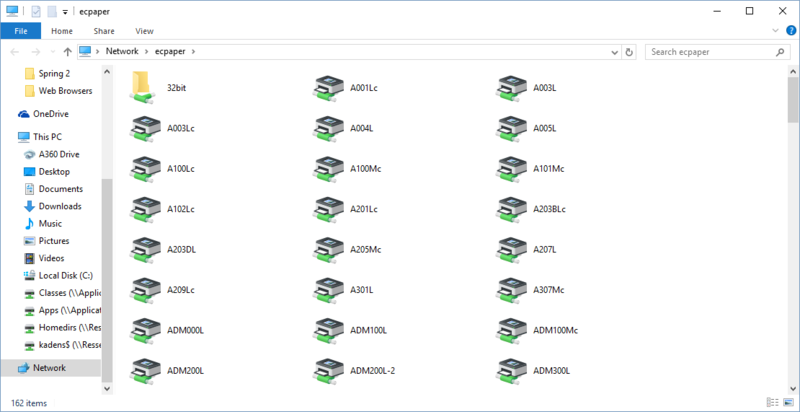 Step 3:Once the network share has opened, open the Kyocera folder. FInd the Kyocera.. DMG file within the Kyocera folder and drag it to your desktop. 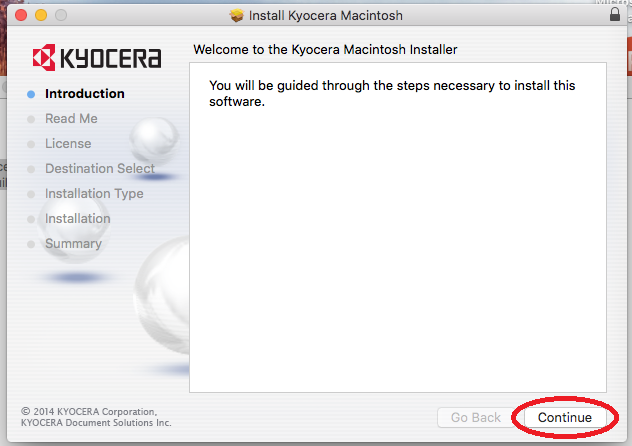 Step 4: Open the Kyocera... DMG on your desktop and double click on the Kyocera...PKG file to launch it. 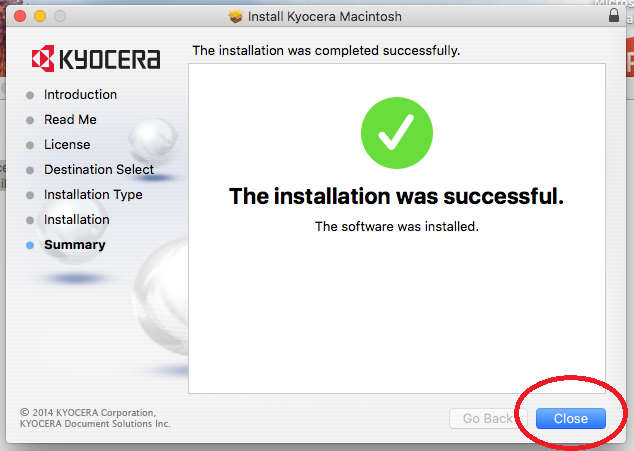 Step 5:Once the installer begins, press Continue. 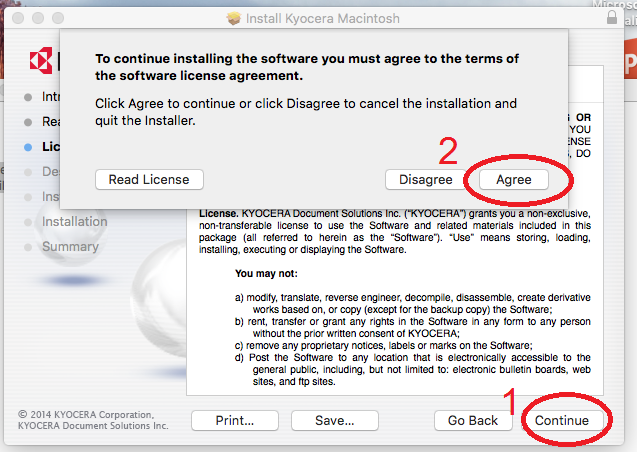 Step 6:To agree to the license agreement, press Continue. When prompted a second time, press Agree. 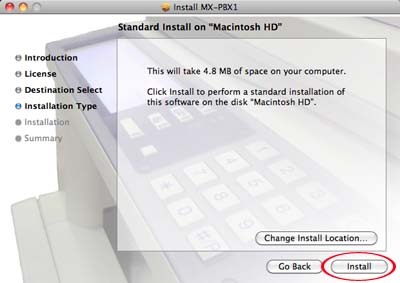 Step 7:Select the installation location (generally, Macintosh HD) and then press Continue. Step 9:Press Close. The drivers are now installed. 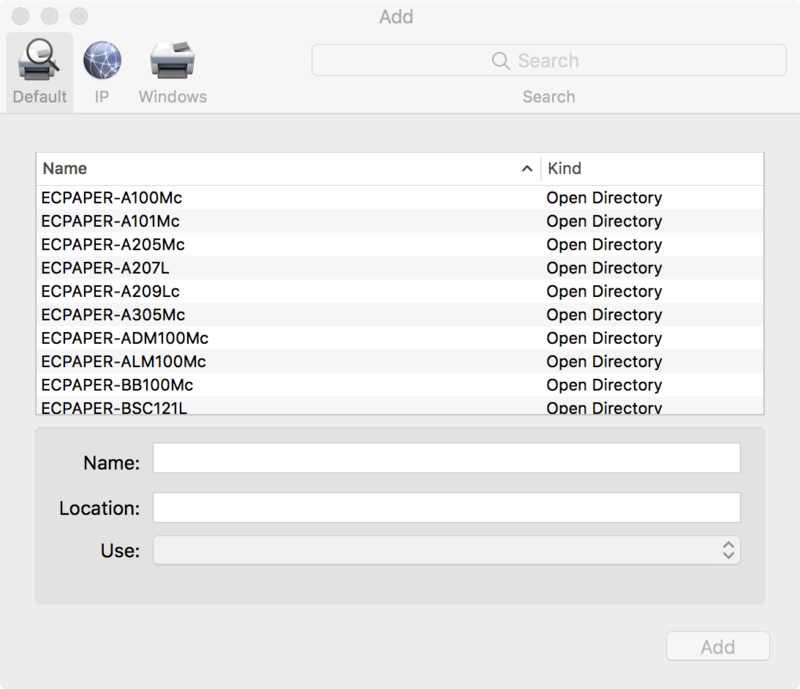 Step 10:To add the copier or printer queue to your computer, open the Apple Menu and select System Preferences. 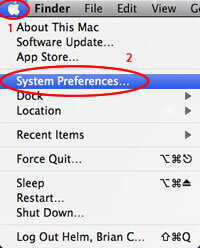 Step 11:Select Printers & Scanners on the System Preferences Window. Step 12:Press the + button on the left of the screen. To add a copier, skip this step and go to Step 14. Make sure the Default tab is selected. 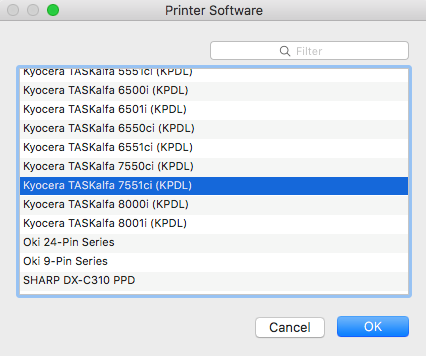 Select the name of the printer that you want to add and click Add, then skip to Step 16. Step 14:Select the IP tab. 3 - Queue: The name of the queue you are connecting to. The queue name must be the exact name of the copier, you can find the copier names in the listing below. 4 - Name: Repeat the name of the queue you are connecting to. 5 - Location: Enter a location to help remember where this copier is located. Select the correct Printer Software from the list and click OK.
Click Add to add the copier. Step 16:In the Document Finisher section, choose the finisher for the copier from the list above and click OK. The device will be installed.